Luxury designer wedding invitations, table plans, order of service, place cards and a bespoke design service. 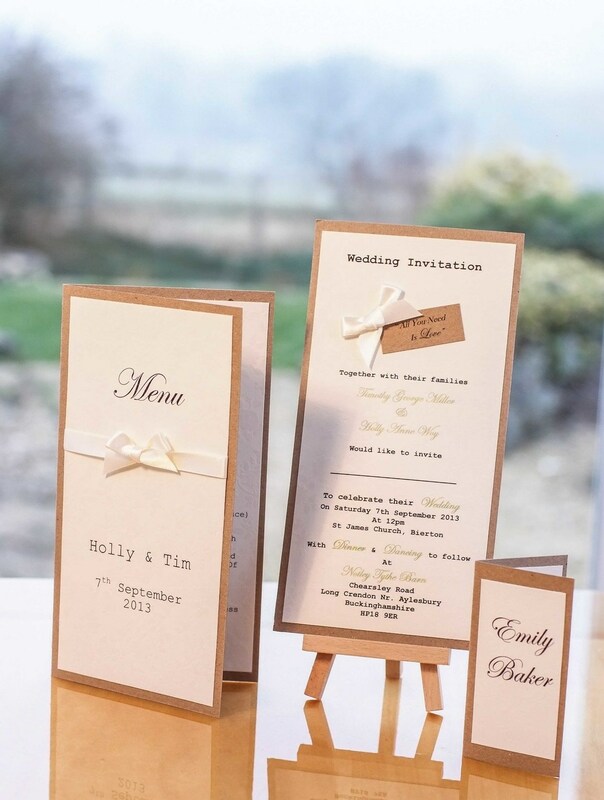 Available in Oxfordshire, United Kingdom (UK) and internationally, from VivienB's Wedding Stationery. VivienB's design and produce bespoke, designer wedding invitations and wedding stationery accessories in Oxfordshire, the United Kingdom and Worldwide, and have been successfully doing so for over 8 years now. Our vision is to create wedding stationery perfection that encompass's everything about you as a couple and the special occasion that your wedding day should be. 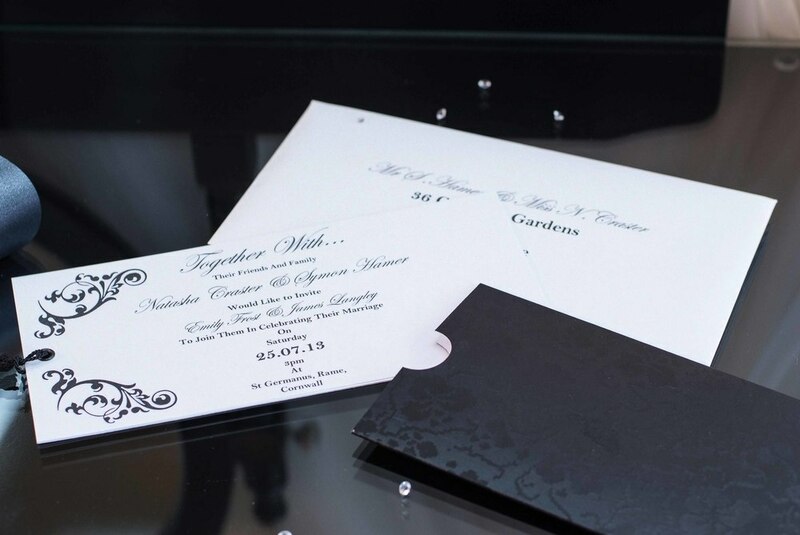 We pride ourselves on producing high end quality save the date cards and wedding invitations, as well as offering exquisite table plans, table name cards, menus, place cards, favour boxes and Thank You cards to coordinate with your wedding day. 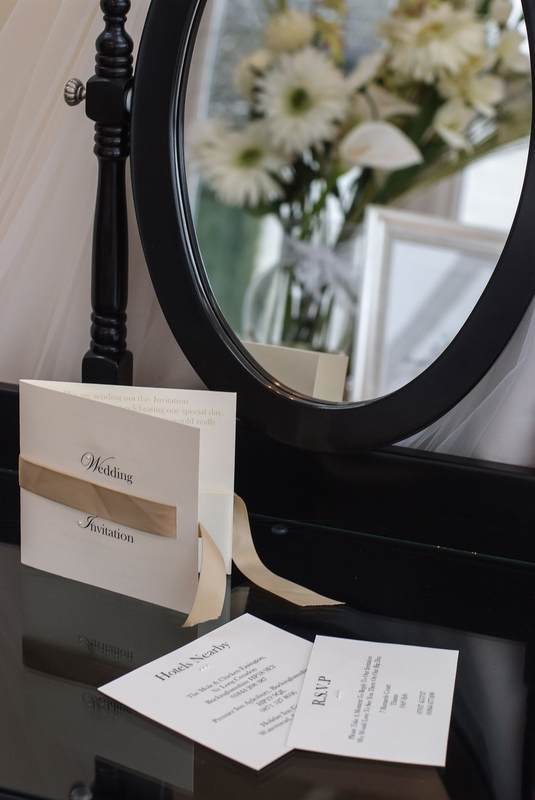 We strive to be different from standard wedding stationery offered for weddings, and believe your guests should be as excited as you are, from the moment they receive their own personal invitation, to the day they receive their Thank You card. Our most popular wedding invitation with internal pocket and pearls. An opulent wedding invitation for the fanciest of affairs. Available as an invitation purse or pocket. A wedding invitation with simple sophistication. Held together with Shindo ribbon and encased in a personalised pocket. A modern wedding invitation, with contemporary design and many colours available to match your day. An all time favourite wedding invitation, with Shindo ribbon and lace detailing. 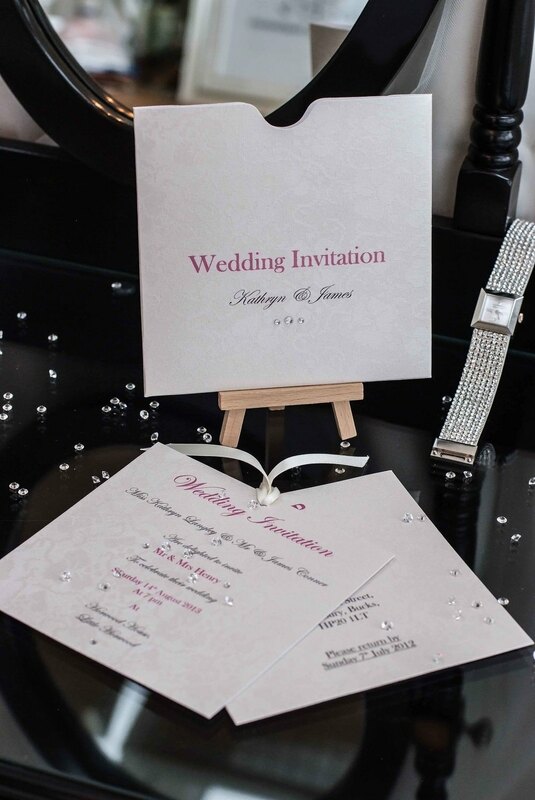 An affordable wedding invitation with luxury embossed card and red love hearts and diamond effect detailing. A luxury boarding card wedding invitation. Perfect for weddings abroad or a quirky interest in travelling. A rustic, eco friendly, wedding invitation with character and charm. Please feel free to browse around our website for what you are looking for, but if for any reason you can't find it, Contact Us directly and we will do our very best to assist you. We understand that the search for the right wedding invitation can be hard, with so many providers to choose from, and an endless choice of designs available. But don't worry, at VivienB's we are able to offer you the highest quality wedding stationery you can find, with the options of choosing our pre designed invitation collections or having your own design custom made. Essentially, you could have whatever you want!